A male friend told me that he noticed me dumbing down while talking to another female blogger. I didn't realize that until he pointed it out to me. I took a step back *mentally looking at the bigger picture* and realize holy moooooo, I do that when I talk to all female bloggers!! I talk like normal to guys, sometimes a tad flirtatious, but why dumb down when talking to the girls? Well of course there are a few exceptions, the few that actually show that they're... not bimbotic. Honestly, a lot of female bloggers don't show signs of intelligence/ knowledge while blogging. I'm not saying that because of that, they're dumb, just that since whatever I read coming from them are about beauty, events, parties, food, i.e. nothing that needs too much brain juice to churn out, I've subconsciously hurled them into the "please-dumb-down-when-talking to" category. Holy mother of mooooooooooooooo! I'm in that category too! I'm not that dumb. 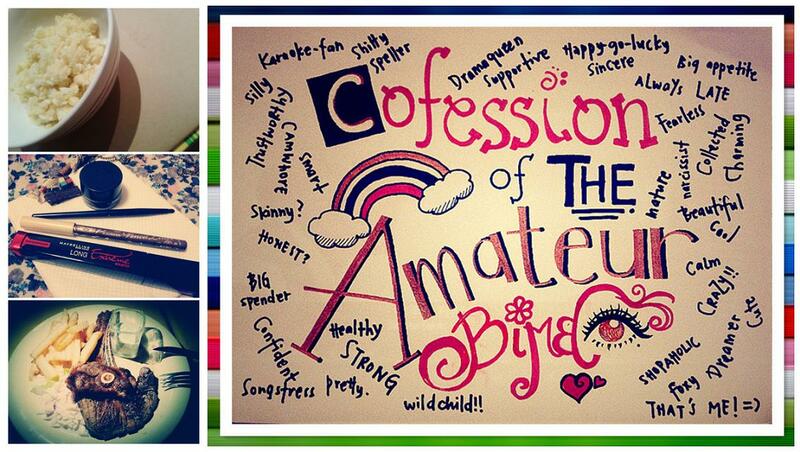 So why do I turn into an (amateur) bimbo when I blog? Ok, because no one likes to read the lengthy blog post with no pretty face/ cleavage pictures. Well, some people prefer that, but the general pool of readers would like... some eye-candy. Proof? You don't need proof. Because most of us would prefer reading comics than lengthy articles that requires you to draw your own mental image. No siree! Young girls shouldn't look up to rich kids. As motivation, yes; as a life mentor on how to spend their parents' money? Absolutely non! Pay for your own expenses if you want to live lavishly. Your parents owe you nothing. So back to my point. From now on, my posts would be more... profound (pfftt). Profound is as profound as the amateur bimbo can get. Of course since this is my personal blog, there'll be life updates, rants, advertorials (which would be the least) and random updates which I want to tell the world. (World: limited to whoever takes the time to read them). p.s. Want to see more pictures? Follow me Dayre or Instagram. Both which I don't update that very often.